When we formed the Southern Cross Motel Group, we formed it to manage a collection of properties that we own and manage on behalf of a group of Australian investors. These properties have enabled us to build a network of 4 star motels with a consistently reliable experience from North Queensland into country New South Wales. By late 2016, we had formed our group with 7 motels into our Group – 1 in Mackay, 2 in Bundaberg, and 1 in Rockhampton, Chinchilla, Narrabri and Parkes. By January this year we formally launched Southern Cross Motel Group. In March, we welcomed the Junee Motor Inn to the group. In the time since, we’ve been taking the properties from individual entities to motels that fit into the Southern Cross Motel Group family. The service, quality and standard you get should be the same if you are in Parkes or Mackay. When you drive down the road you can now identify right away that a property is part of the Southern Cross Motel Group. That’s why we’ve invested in a rolling series of renovations across the properties. Some of the changes are noticeable, like new signage and updated bedrooms and bathrooms. Others are a little less visible but equally important. We’ve set up a centralised bookings team in Brisbane to allow our property managers – the people you talk with when you stay in our motels – to be attentive to your needs on the ground. We’ve also started contacting previous guests to ask how their last stay was. Hopefully it’s not too intrusive, but for us it’s a really important way to gauge how we’re doing and what we need to work on. Thank you to everyone who has given us their honest views so far. 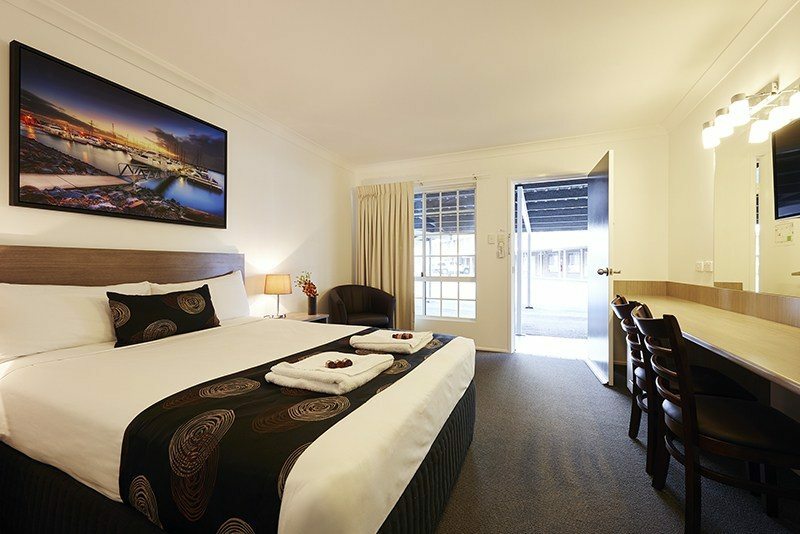 We can’t wait to see you in more of our motels over the coming months – call 1300 979 746 for assistance.